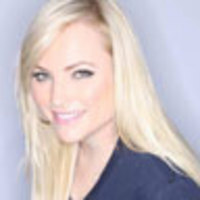 Meghan McCain talks to Dinesh D’Souza about his controversial new Obama documentary. When I got to the Republican National Convention last week, there was a lot of buzz about a new documentary that had finished sixth at the box office with little marketing outside of conservative outlets. Over the weekend, 2016: Obama’s America continued to draw sold-out audiences: to date, the film has grossed an estimated $18.7 million. Some people are even calling its director, Dinesh D’Souza, a right-wing Michael Moore. I was intrigued, so I went to see the movie for myself. The documentary argues the president’s past and childhood—and the influence of his absent father—play a role in how he governs. D’Souza says Obama is “influenced by a third-world ideology,” citing his prior relationships with Bill Ayers and the Rev. Jeremiah Wright. Although I had issues with the conspiracy theory elements of the film, I found D’Souza to be much less extreme over the phone than he came across in his documentary. Are you surprised by the success of your movie?I am surprised and thrilled. These kinds of movies don’t normally make it into the theater—let alone do so well. We’ve quickly become the leading conservative movie of all time, and this week, we should surpass Al Gore’s film to become the second most successful political documentary of all time, just behind Michael Moore’s Fahrenheit 9/11. What made you decide to make the film?My initial idea was quite modest. I had published a book called the The Roots of Obama’s Rage two years ago. It advanced a novel and somewhat controversial argument that Obama had been inspired by the dream of his father. An idea that I got right from Obama himself, from his own book, with that title, Dreams From My Father. But a surprising number of people across the political spectrum said, “How can somebody who didn’t know his dad very well be so influenced by his dad?” I ordered the audio book; if people could hear Obama talk, this wouldn’t be a discussion. They would see right away, that Obama talking about how this absentee father was the guiding star of his life. That gave me the idea of making a film. Why do you think the film is doing so well?The film is a riveting story and it just so happens Obama has a really interesting life story. There’s an element of Greek drama to it. You have a kid who was abandoned at birth by his dad, abandoned at the age of 10 by his mom, who goes on an odyssey to find this father and find his self. What could be more primal as a theme? So I always had great confidence in the story. When Michael Moore made his film—the Bush story is not as interesting. Michael Moore had to do stunts and float conspiracy theories. I felt in this film you don’t need to do that. How do you feel about being compared to Michael Moore?Taken literally, I view it as almost an insult. Michael Moore is a creative, entertaining, and ridiculous figure. I admire his entrepreneurship. I admire the fact that he knows how to pack a punch. But when you combine the sleight of hand, the manipulation of facts, the ignoring of facts, intellectually, it’s a disgrace. I’m a college president. If I were at the intellectual level of Michael Moore, this movie would be a dud. So you’re saying you’re smarter than Michael Moore?That’s like saying I’m smarter than Mike Tyson. Yes, I am saying that, but I’m saying more than that. I’m saying I made an intelligent film and he hasn’t. Some people have labeled you and the movie as racist.This movie doesn’t have a racial bone in its body. By that I mean, it brings up race but only to defuse it. It brings up race to say, “Look, I’m the same color as Obama.” We both have a multi-racial background. I’m not fundamentally about race and neither is he. Now the racial factor comes in, in the sense that there’s a desire in white America to be healed from America’s racial past. That’s part of the key to Obama’s success and appeal. What’s refreshing about Obama is that he seems to transcend race. There’s an Entertainment Weekly article that said [the movie’s] racist because they are showing an interview with George Obama, and he turns out to be darker than Barack Obama. This is all so stretched and preposterous, I don’t think it needs to be rebutted. I found the movie to be provocative. But it also came off as conspiracy theory and paranoia-based. I don’t know if all your arguments connected, and that you were making a lot of assumptions about his past and psychology.I think that, in the last part of the movie, it is by its nature a little speculative. It is that way because it’s projecting into the future. It would be very fair to disagree with some of my conclusions. [The part about] about Islam may seem conspiratorial at first glance … but we are already two-thirds there. There are three major countries in the Middle East—Iran, Egypt, and Saudi Arabia. Iran has already been down for the count since 1979. Egypt is almost there. All that’s left is Saudi Arabia. The concept of a Muslim world unifying with the three major legs of its tripod all falling into the hands of the radical Muslims is not so far-fetched. I do think for ideological reasons, [Obama] wants to reduce America’s footprint in the world. I’m not saying he’s anti-American or a bad guy. But he has a different view of America than not only most Americas, but Democrats. Do you think Obama has seen the movie?I would be extremely shocked if people close to Obama, at the White House, and in the strategy group at the Democratic National Committee, have not seen the movie. It would be almost suicidal for them not to do that. I’m sure they have—whether Obama himself has, I don’t know. I do know when my book came out two years ago, the Obama people were in a rabid state of mind. Robert Gibbs, the White House press secretary, was denouncing it. They dispatched Biden and Colin Powell to refute my argument. Why were they rabid?They realized the argument of the film is extremely damaging. It suggests Obama is a global redistributionist and not merely a domestic one. Obama considers America to be the 1 percent and he wants to redistribute wealth away from the United States and toward the rest of the world. He also wants to diminish America’s power in the world. This is very different than what traditional Democrats want. And so if the thesis film is believed, even Democrats’ confidence in Obama would be shaken. The White House recognized that. They tried a couple of salvos, but they were outright lies. One is that I’m some sort of birther, and the other was that there’s a racial attack here. You wouldn’t classify yourself as a birther?Not only do I not classify myself as a birther, I specifically repudiate the birther thesis with two books and the film. The birther movement is nourished by the suspicion that there’s something foreign about Obama. What the birthers have wrong is there’s nothing foreign about his birthplace; he was born in Hawaii. But Obama is influenced by a third-world ideology. Do you think your movie will change voters’ minds?I don’t know if it’ll do that. It’s certainly meant to be a contribution to the debate over the future of America, and in that sense, I want it to be a film that’s bigger than Obama. What do you think 2016 will look like if Obama is elected?I think my worry, as an immigrant, is 2016 may see the end of the American era. What I do mean by that is that in the last 70 years, it is has been a special time to be an American. America has truly had a privileged position in the world and that means, in a small way, when you travel abroad the American passport is better than everybody else’s passport and the American dollar can be used when other currencies can’t be. But in a broader way, it means America has really been calling the shots around the world. I was born in a little pocked in the outskirts of Bombay. I came to America excited about being at the center of things. I believe in the American Dream. I’d fight to keep that American era going. I think Obama sees it differently. To him, it’s a bad thing that one country, the United States, gets to lord over the rest of the world. He thinks it would be good to have many powers in the world—Russia, Brazil, China, India, and America—all sharing power. He thinks it will be better if the standard of living between countries were leveled. American decline may be inevitable. But we never had a president who was a champion of decline. Are you going to make any more movies?I’m thinking about doing a film on the topic of God and Christianity, but I won’t get to it right away. I am excited about the prospect of making another film, yes. Finally, one last question. What did you think of Clint Eastwood’s speech at the convention?Oh! I have to tell you Clint Eastwood is a boyhood hero of mine, going back to the years of Dirty Harry, which I saw in a rundown theater in the outskirts of Bombay. And so, I have an idol worship of Clint Eastwood. In my view, Clint Eastwood can do no wrong.